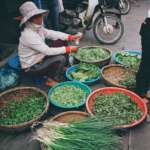 Do you love cooking and learn how to prepare Vietnamese food? 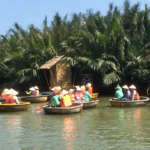 You would like to try the famous Vietnamese basket boat? You love to go to local market and do shopping with locals, learn more about different ingredients for daily cooking? If yes, don’t hesitate on doing the eco cooking class with us. A wonderful combination of cooking, river cruising, exploring life of locals and cooking. 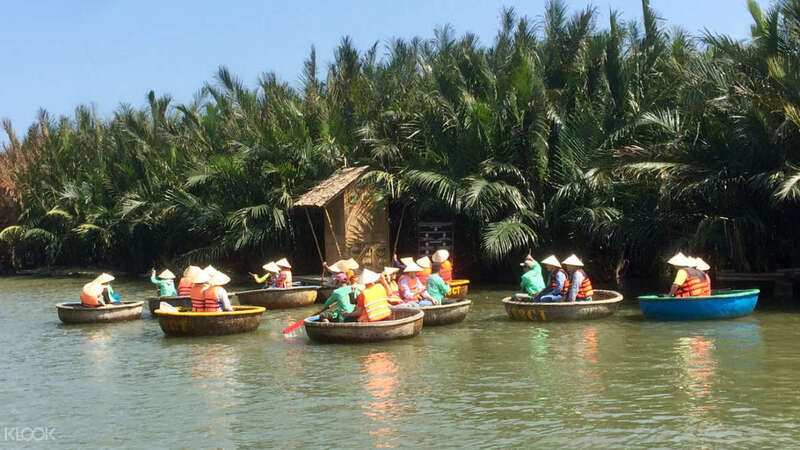 Try to row Vietnamese basket boat with local people, visit water coconut (Nipa) area, do crab hunting and making toys from leaves of Nipa tree. 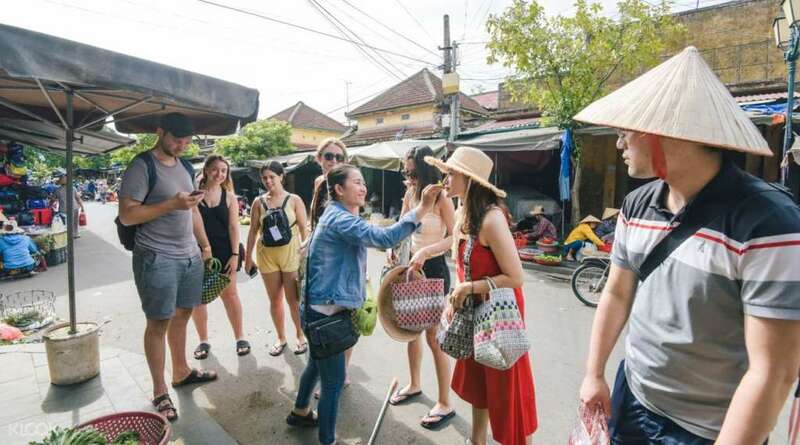 Go to market like locals do, learn about different ingredients and spices in Vietnamese cuisine and different tropical fruits that you didn’t see before. Wonderful opportunity to meet and communicate with friendly and open hearted locals. Learn how to make Vietnamese food – 4 course with recipe. Flexible time: morning trip from 8.00 to 13.00, afternoon trip from 13.15 to 18.15. Vegan menu is always available upon advance request. Pick up you from your hotel – shopping at local market – river cruising – basket boat and fisherman experience – making rice milk- cooking class – desert – drop off in hotel in 5 hours. 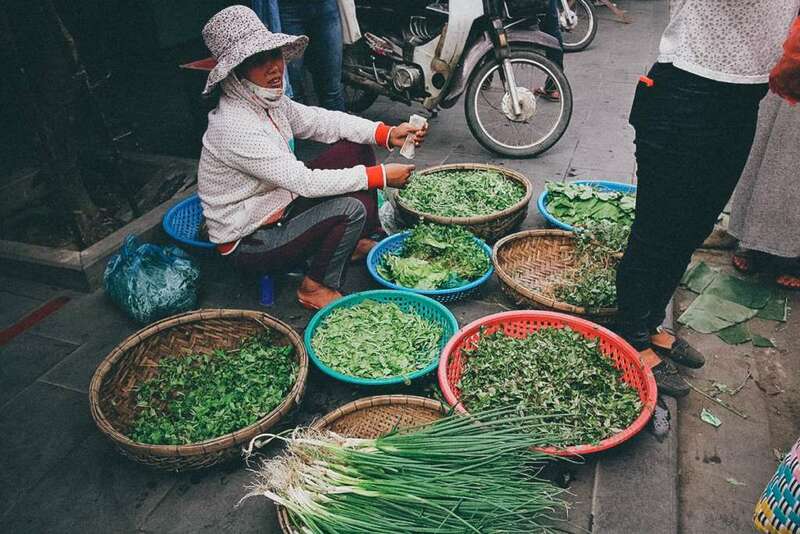 Going to Hoian central market to experience different cooking ingredients that Vietnamese used for their cuisine. We will collect all we need for our cooking class later. 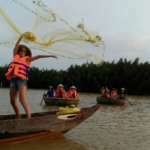 Enjoy 30 minutes cruise on Thu Bon River. 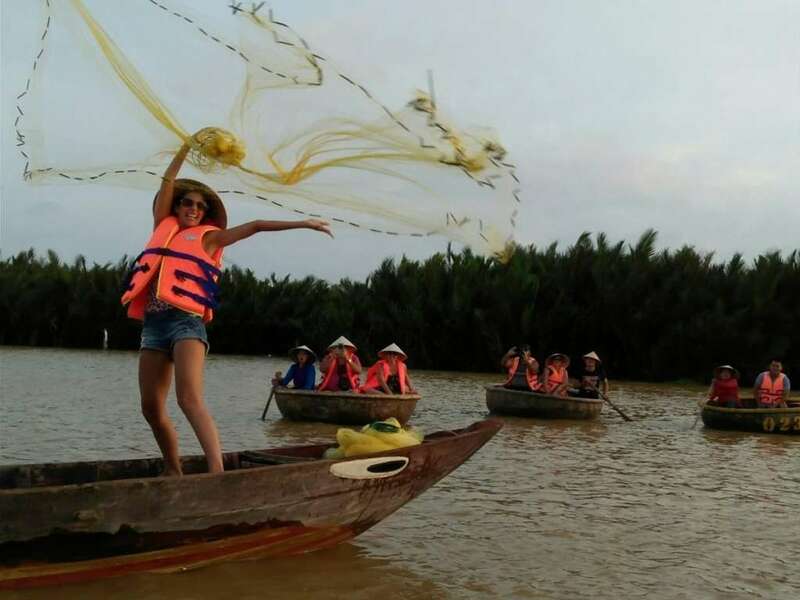 Experience 40 minutes on the special basket boat cross the water coconut village, try to catch crab and make toys from leaves of water coconut tree. 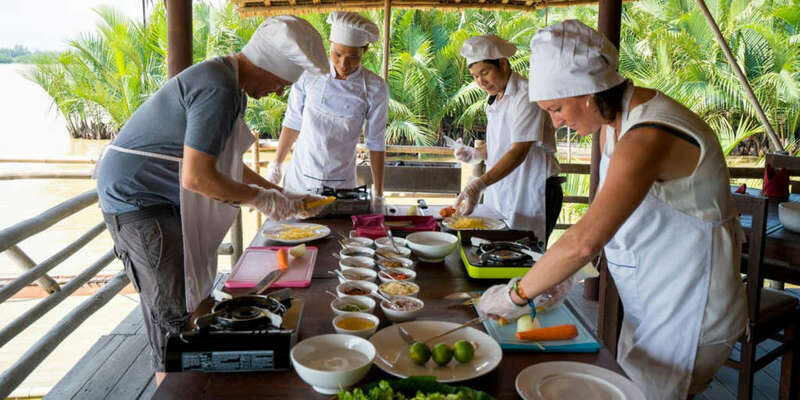 Learn and hand on to make 4 tasty Vietnamese food within 2 hours with the valuable shares about Vietnamese cooking style. Drop you off at your hotel around 14.00 for morning tour and 18.00 for afternoon tour. Banh Xeo or Vietnamese rice pancake, topped with pork, shrimp, bean sprout and spring onion. Served with rice paper, fresh herbs, lecture and dipping in the fish sauce. Stir fried noodle with seafood: this is one of the simple but tasty dish. It is a nice combination of fresh prawn, vegetables, noodle and gravy. Pho Bo Ha Noi – beef noodle soup in Hanoi style: this Vietnamese icon dish is a must if you want to attend in any cooking class. You will be guided step by step from stewing the bone to have a great stock, prepare pickles, and turn all together to a delicious bowl of Pho. 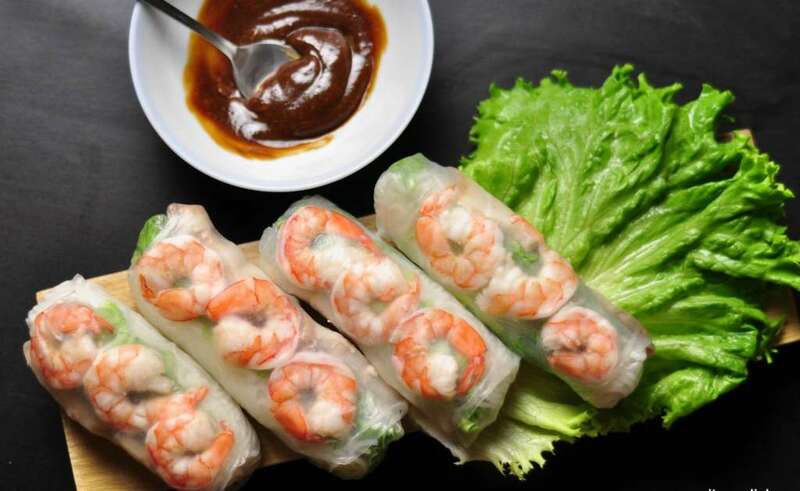 Goi Cuon or Vietnamese Fresh Spring Roll/Summer Roll: if you love finger food but don’t want to take any oily food anymore, so this dish could be your favorite. 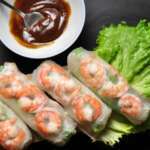 It is a nice roll with papaya, shrimp, with tasty peanut dipping sauce. Bottled water and fresh juice. All food that you prepared will be served at food.